Description: A highly effective water based impregnating sealer to protect your stone surfaces from water and oil stains. The impregnating sealer provides an invisible barrier resistant to stains, while allowing the surface to properly breathe. Description: A highly effective solvent based impregnating sealer to help protect your stone surfaces from water and oil staining. Designed to deeply penetrate the stone surface for maximum protection. and look of the stone. 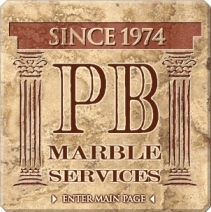 Will renew the look of your stone!